I have mixed feelings about the latest book Timberdoodle sent me to review. 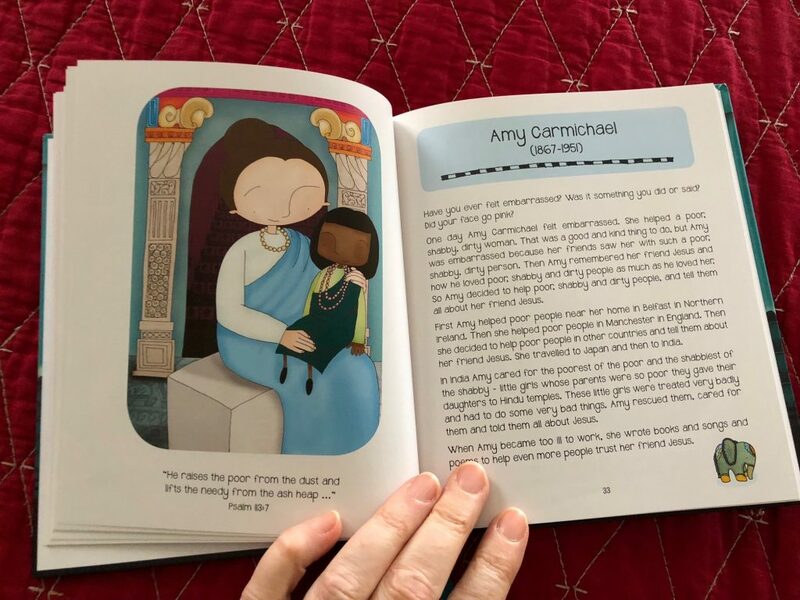 Entitled Everyone a Child Should Know, this 120-page volume by Claire Heath-Whyte offers one-page summaries of 52 heroes of the faith. I did not immediately fall in love with this book. I thought at first glance it was too simplistic. But in the weeks I’ve spent reading it aloud to my children, my appreciation for this slim volume has grown wider and deeper. The author tells each story in a simplified way using repetitive language and themes. 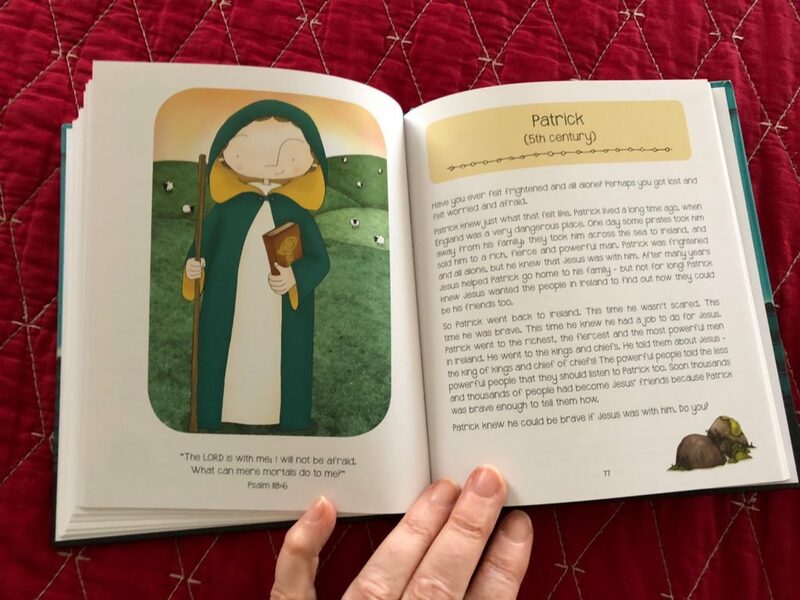 The format is perfect for introducing young readers to these famous “friends of Jesus,” although the brief biographical sketches definitely left me wanting to know more details. I suppose that’s the beauty of these introductory sketches, though. Covering the lives of so many people in a single volume was an ambitious undertaking. The author gives just enough information about each subject to whet our appetites for more. Of course, you aren’t obliged to rush through the book cover to cover. Instead, I’d suggest tackling a different Christian hero every week of the year. Use this book as a jumping off place. 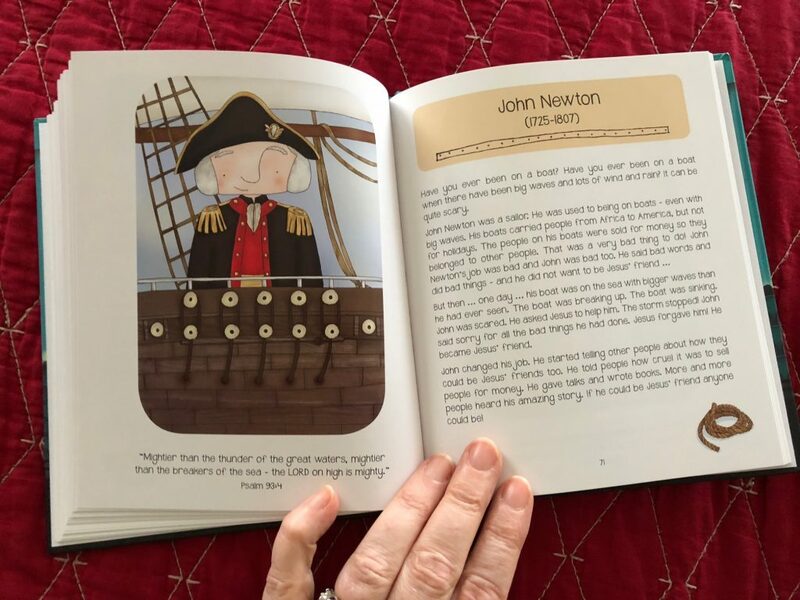 After reading the one-page synopsis (or having one of your children read it aloud — the practice will be good for them, and the text lends itself well to that), Google each name to see what other pertinent information you can find. 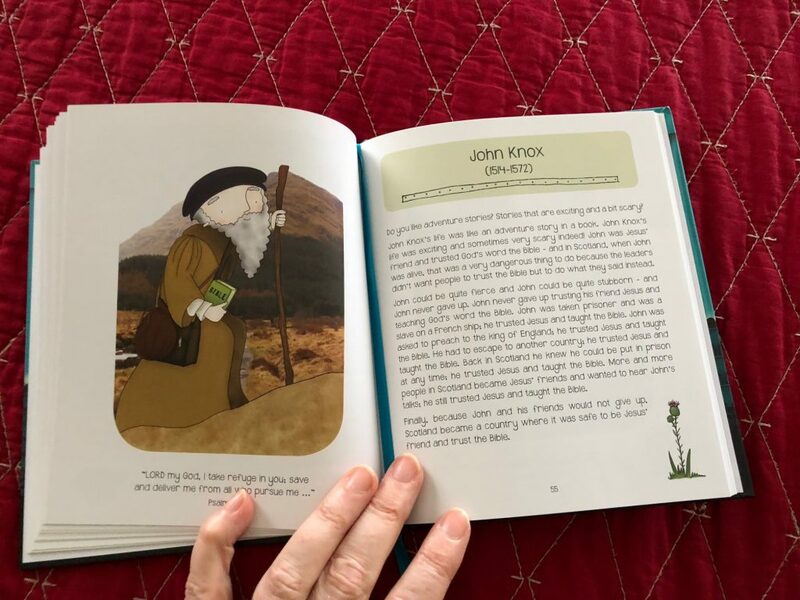 Jenny Brake’s charming illustrations are another selling point for the book. I found on further inspection that they, too, are more detailed than they appeared at first glance. Examine them closely, and you’ll see that each picture is composed using a mix of photographs and line drawings. 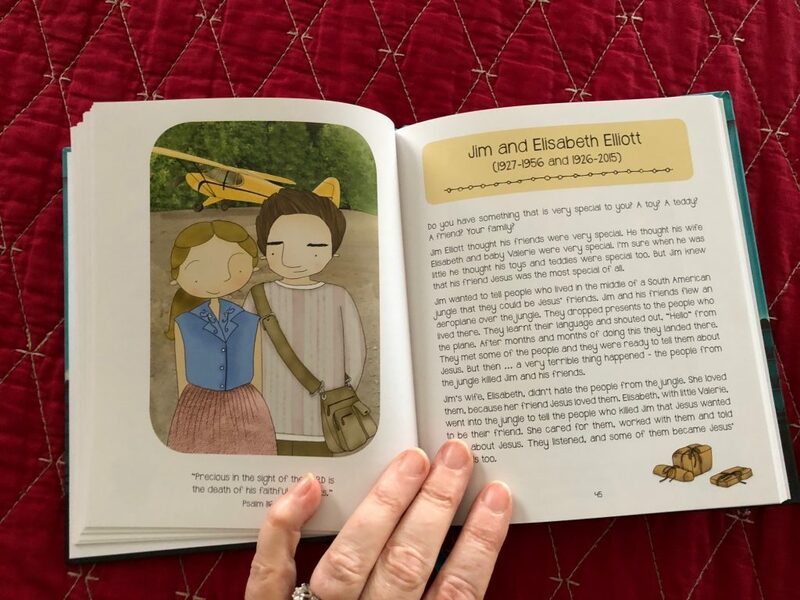 These hand-drawn characters remind me a little of the artwork of Joan Walsh Anglund I so loved as a child. I used to pour over the books she illustrated, doing my very best to imitate her style. The simplicity of her drawings made them easy to duplicate, which served to hone my artistic abilities. 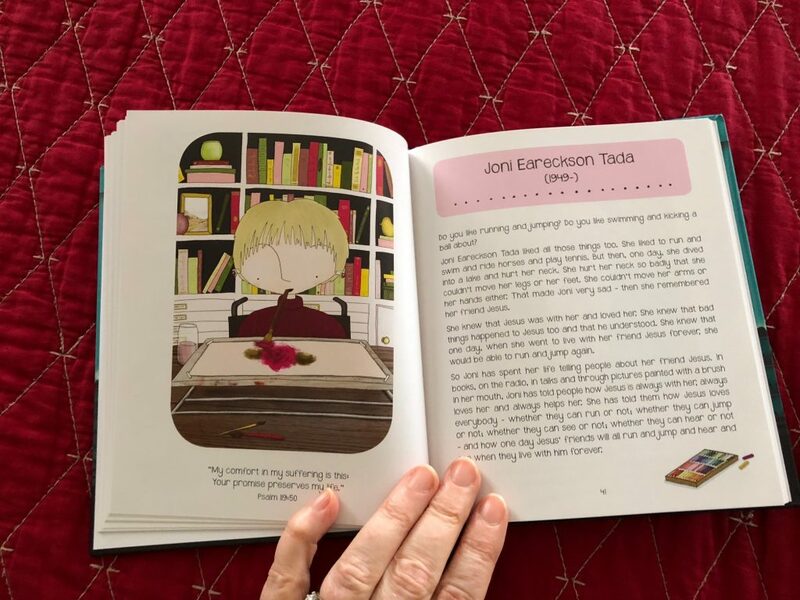 In the same way, Jenny Brake’s illustrations may be just the inspiration the budding artist at your house has been looking for! 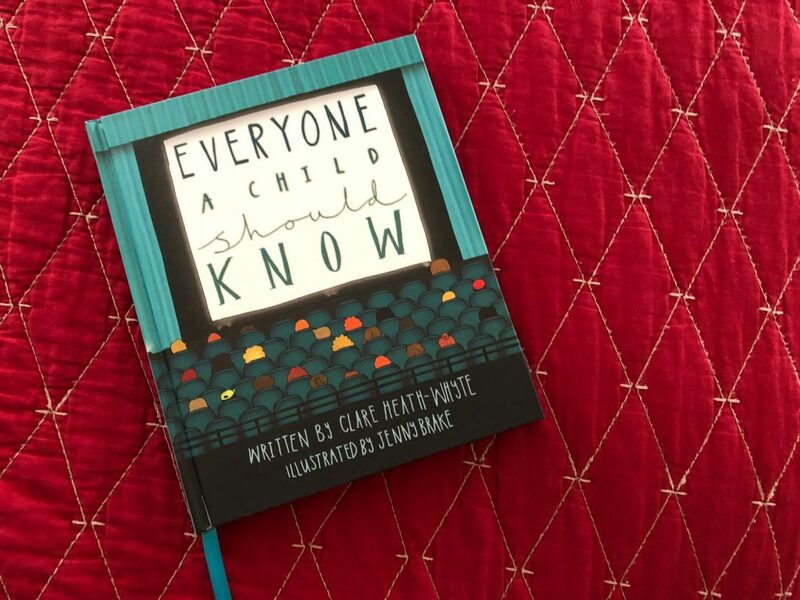 Note: I received a free review copy of Everyone a Child Should Know from Timberdoodle in exchange for this honest review. All the opinions expressed are my own — although my kids would agree with everything I’ve written here. I’ve been reading it aloud to my four youngest (ages 7, 10, 12, and 14), but I caught 18-year old flipping through the book last week, and she’s already called dibs on it once we’re done.